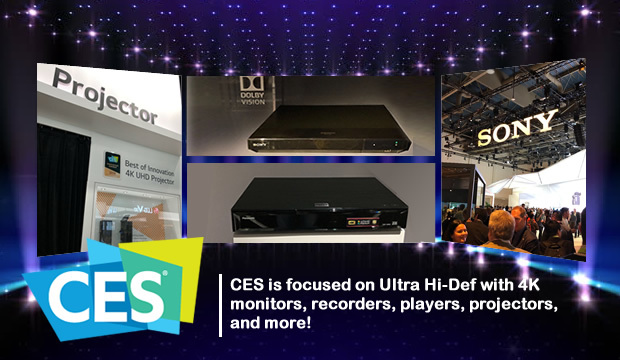 CES is focused on Ultra Hi-Def with 4K monitors, recorders, players, projectors, and more! Not only is Vinpower exhibiting at CES in Las Vegas this week, but weâ€™re also taking this time to explore the massive exhibition to gauge where the industry is going and what the focus will be for 2018 and beyond. To no oneâ€™s surprise, 4K capable devices with HDR is prominently on display in the booths of virtually every major manufacturer exhibiting at CES. From UHD capable monitors/TVâ€™s, recorders, players, projectors, and more, itâ€™s clearly evident that 4K UHD Blu-ray is the progression to the next level of dynamic hi-resolution content viewing. It is for that reason that Vinpower is also focused on developing and providing 4K UHD Blu-ray capable duplicators, media, and accessories to stay ahead of the curve. For more details on any products Vinpower offers, please visit, www.vinpowerdigital.com, or speak with a Vinpower representative in your area.